That last print is so awesome! Love these shots, great job! Tienes un blog más que increible! The McQueen & breasts shirts are funny. Hahah never really liked shirts but if I had one of those McDonalds + Queen shirts I'd so wear them everywhere. Wow! 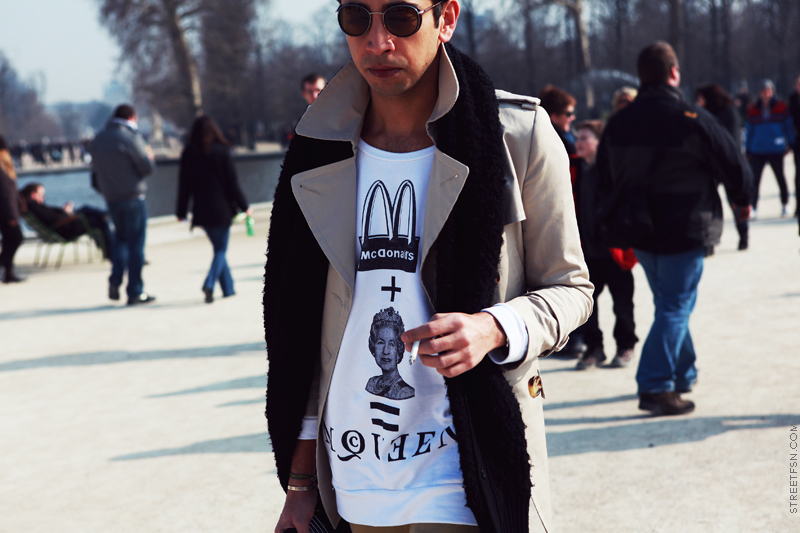 The McQueen shirt is golden!!! I love the pink shirt in the second picture!!! So completely inappropriate but too great! I have to get one of those McQueen T-shirts! Loving the Seditionaries breast print shirt. I need to get me one of those! LOVE THE SKIRT AND THE MCQUEEN !! Some print T's I like, some I don't. The McDonald's one is cool. Love this theme. So hard to find a great shirt print. Second to last pic, awesome! ;P but not everyone can pull that off. so classy, what camera do you use? I so love the Monroe shirt print! It went very well with the outfit! And up to this date, shirt designs still rock the street wear! Wow........................It is great technology. There are best of them work on image on T0shirts. It is really good impression. I am also impress of image in this blog. T-shirt, Jeans pant technology is one of the best perform with print machine refer. It is really nice t-shirt design.Look so nice.I like your post.T-shirt is good for wearing in the summer. Digital T-Shirt Printing - Digital Printed T-Shirts with No Minimums. Hope you have a lovely weekend,. Have a lovely day today.. Printed T-Shirts are really very good.It can change the look of everyone. For printing your favorite design on your Tshirts , do visit the link below. Printing favorite designs on T shirts and skirt is a incredible idea. Hats off to the print technology used. very trendy and cool to carry in summer. Love the designs on the t-shirt, really amazing. There are many companies which offer these types of beautiful t-shirt printing services. Amazing T shirt printing designs. Very good job. Well done. Customized t shirt printing in Singapore is youth loving and trendy these days. These all prints in so amazing, thanks for sharing this great post with us. I really like this these all prints of t-shirts. Keep posting! I really liked the idea of printing favorite designs on t-shirt. Keep sharing such ideas.